"The main net of #TRON will be launched in advance from July 1st to May 31st. The test net will be delivered on March 31st. 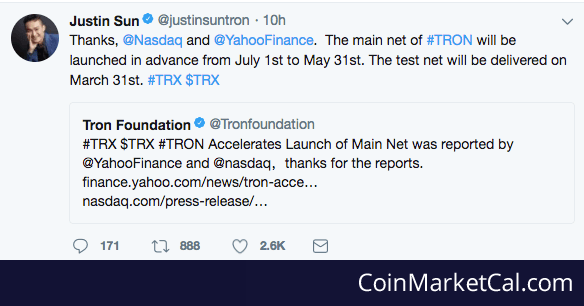 #TRX $TRX"